Massachusetts voters will get their first chance to size up Republican Gov. 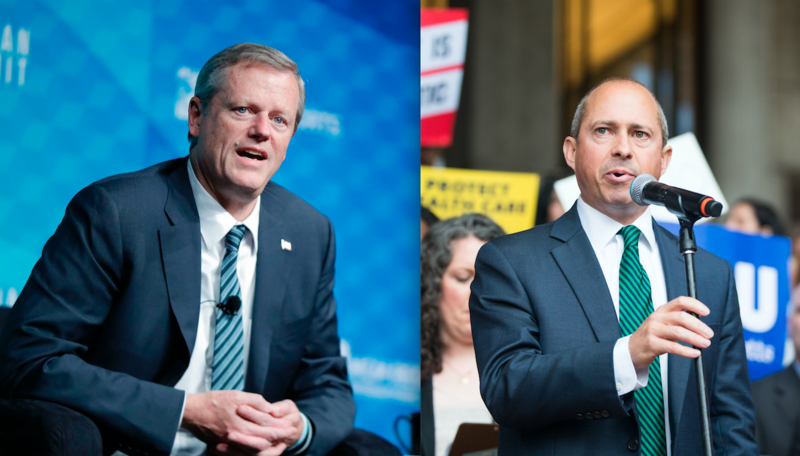 Charlie Baker and his Democratic challenger, Jay Gonzalez, on stage together as they square off for their first debate before next month's election. The one-hour debate is scheduled for 8 p.m. Tuesday at the WBZ-TV studios in Boston. It will be moderated by WBZ political analyst Jon Keller and will include questions submitted in advance by voters. Baker is seeking his second four-year term on Beacon Hill. The Democratic nominee was the state's top budget official under Baker's predecessor, former Democratic Gov. Deval Patrick. Two additional debates are scheduled before the Nov. 6 election. Gonzalez has criticized Baker for not agreeing to other proposed debates, including one he called for to be held in western Massachusetts.